TRAM (Transition Mearns) was formed in December 2009. We aim to support local projects in the Mearns Community to improve community resilience, make a positive difference to our world and improve our quality of life. With funding from Awards for All Scotland we helped develop Benholm Bikes which has since become the Mearns Cycle Hub and transferred to Mearns Community Transport. 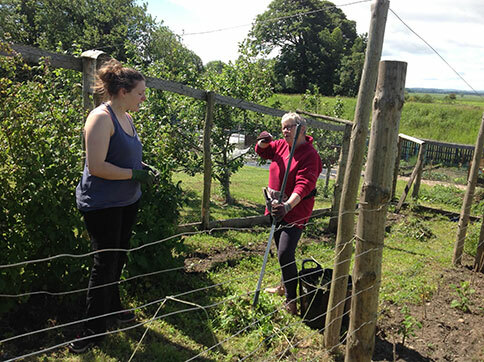 After renting an Allotment in Fettercairn we developed the Fettercairn Community Allotment and with Leader funding created community raised beds, put fencing in, and had a large fruit cage built. We now have a mixture of individual plots and the community area, which includes the fruit cage and a small orchard of apple and plum trees. 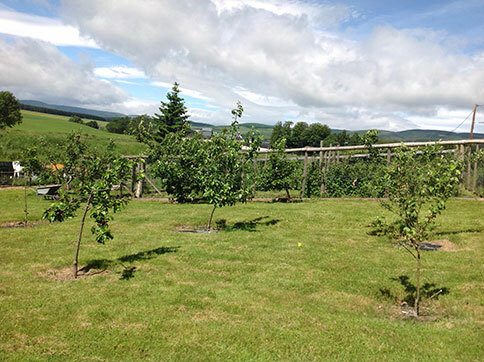 We have regular work days, every 1st Sunday and 3rd Saturday and as well as enjoying our own produce we share surplus fruit with the Mearns Healthy Living Network. 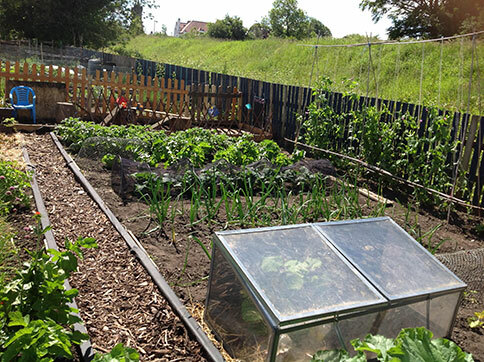 The Community Allotment is opposite Fettercairn Primary School and is open to all to visit at any time. You can contact TRAM through transitionmearns@gmail.com.